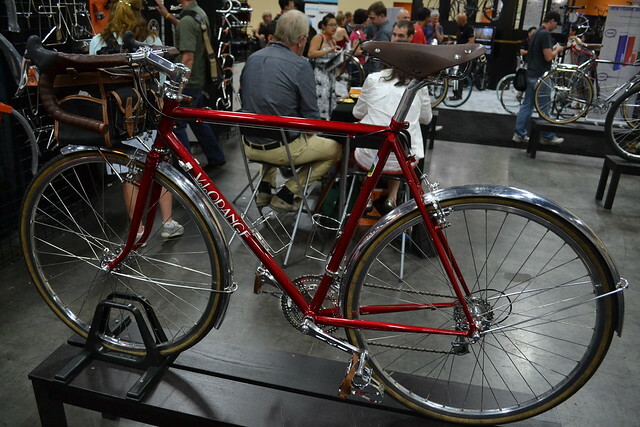 We stopped by the Velo Orange booth to take a look at their offerings…the allure of polished stainless steel and gleaming aluminum alloy drew us in like moths to a flame. 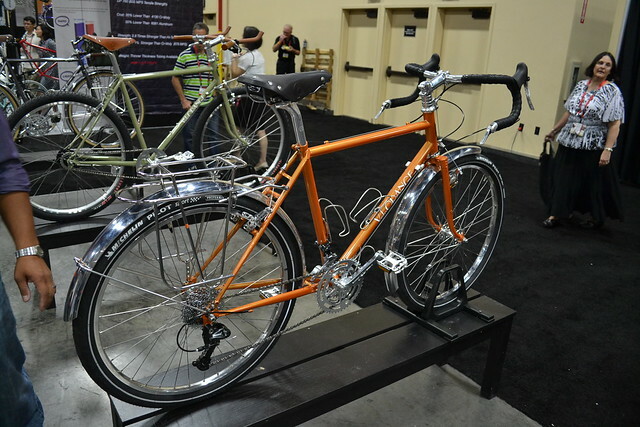 VO had a few of their framesets built up with a full complement of their components, including wheelsets, handlebars, brakes, cranks, bags, racks and fenders. 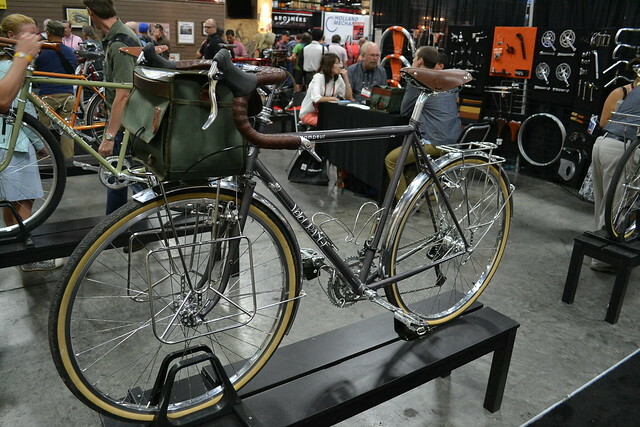 The overall effect was staggering: beautiful bikes tailor-made for commuting, long-distance touring, randonneuring, or simply going for a spirited ride out in the country. Take a look for yourself! I may have drooled a little while photographing these bikes…luckily, I don’t think anyone noticed. @Karen, VO does not make a stepthrough frame.